One of the benefits of working for a union that represents workers all over the state of New Jersey is that on occasion I find myself near a great birding location after having finished work for the day. For example, a couple of weeks ago I found myself with several hours of daylight left and within ten minutes of Brigantine! I would have had to turn my ABA membership card in if I didn’t go see what birds were around the refuge, at least, I think that is in the ABA’s principles of Birding Ethics. Sadly, the tide was low and getting lower, not ideal for seeing concentrations of shorebirds which are typically the best birds this time of year. 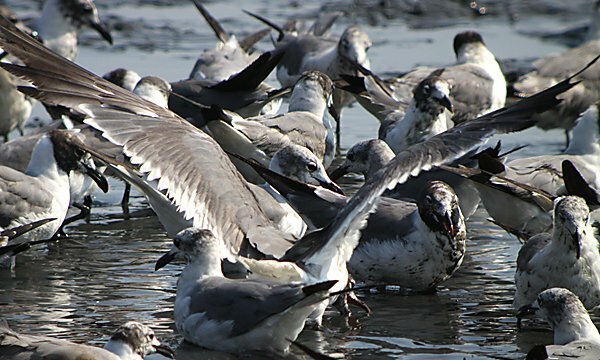 But the outgoing tide had left some schools of small fish in small and shrinking pools and hordes of Laughing Gulls in a bewildering array of plumages were taking advantage of the temporary surfeit of food and chowing down on stranded fish. 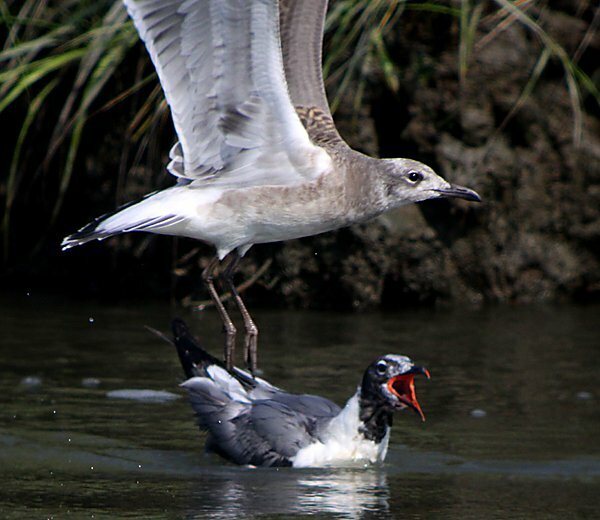 The noise of the gulls was deafening, the flies were ferocious, and it was difficult to find clear shots through marsh vegetation but I managed to get some documentary shots of the spectacle, shared below. 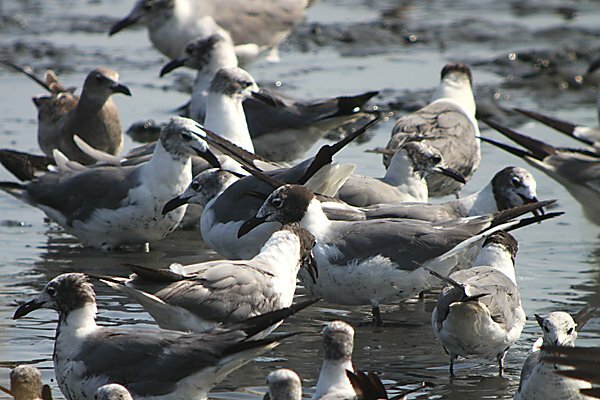 Mostly, though, the gulls were just being gulls and juvenile Laughing Gulls can be gorgeous in the proper light. 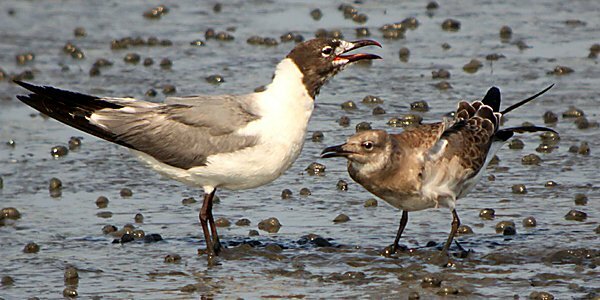 Though they are a very common bird along the coast of the northeastern United States in summer Laughing Gulls are well worth an extra look. Don’t you agree? This post has been submitted to Bird Photography Weekly #157. Go check it out! Yes, always worth an extra look! 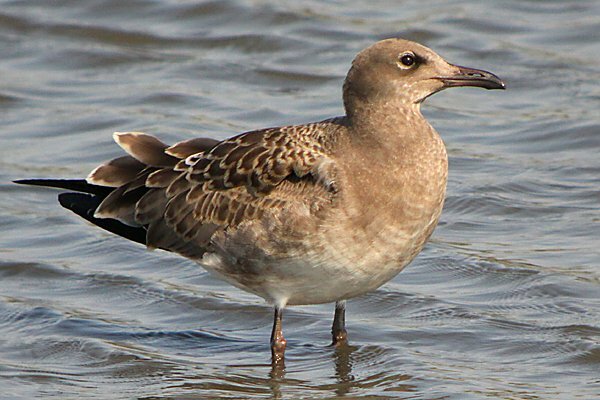 We dont get many gulls in Costa Rica so its nice to see posts like this one. Laughing is the most common species here but it still doesnt occur in large numbers like the east coast of the USA. 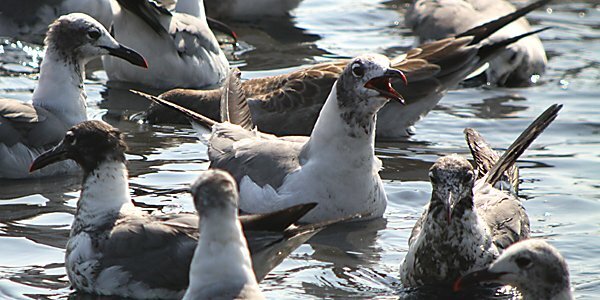 Gulls are such striking birds. Great post!